Laurel candle. The Laurel has had a great role in the oldest cultures. In ancient Rome and Greece, the victors of battles were crowned with Laurel. It has been magical for all Mediterranean cultures from where it originated. Symbol of victory, power, glory and fame that has survived to this day. But it is Palm Sunday, when Jesus is received by his faithful, carrying branches of Laurel; when it makes its final entry and through the big door in Western cultures. Protection, psychic awareness, purification and triumph in your achievements. It’s what the Laurel candle brings you. Its essence is alive and penetrating and therefore it protects us from nightmares. It also reinforces family ties. Put Vela Laurel to repel bad energies and enhance psychic awareness. La Vela Laurel will help us overcome the great difficulties of life. We will use it mainly in people who need to increase personal security, strength and mental clarity. In moments of great anguish and disorientation the Laurel candle is used to attract wealth, good luck and love. It stimulates and effectively balances our chakras in the physical and etheric plane. 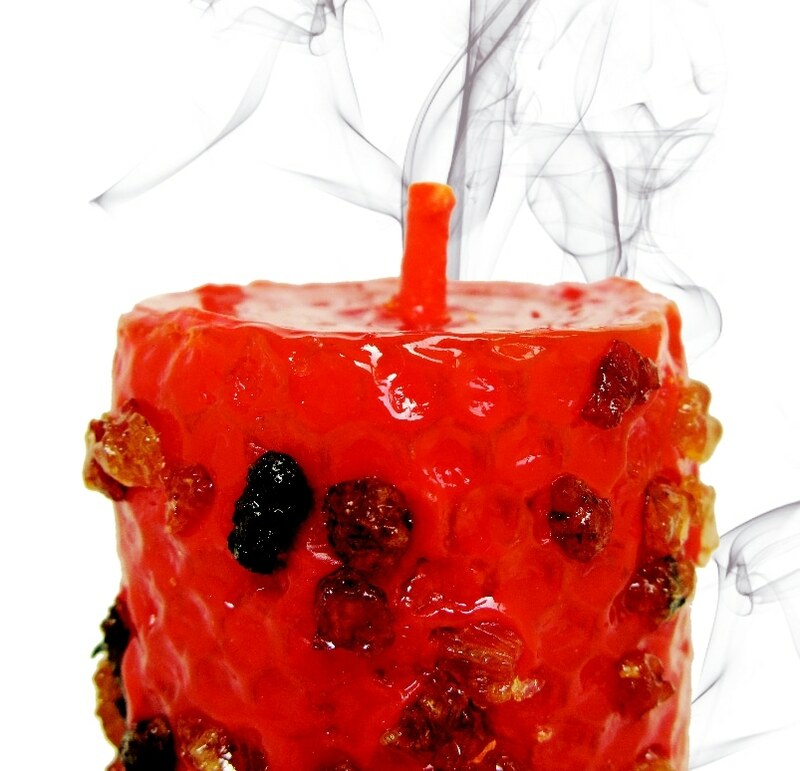 In many occasions the Laurel Candle is used to fight the evil eye and dissipate it completely. Their presence will greatly strengthen the vibrational power in any spell. And it will always attract material and spiritual realization. Symbol par excellence of protection, wisdom and peace, we will resort with faith to the Laurel candle to be protected in conflicts; bringing peace to the circumstances and wisdom to act rightly.